Spartan Mambo Spring 2013 Auditions Are Here! 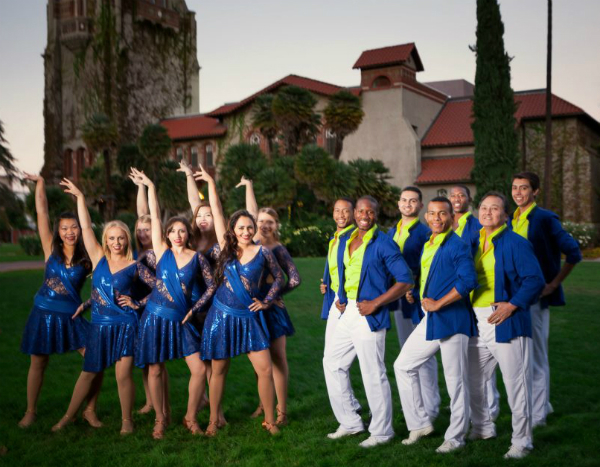 Want to dance on one of the top college salsa teams in the country? 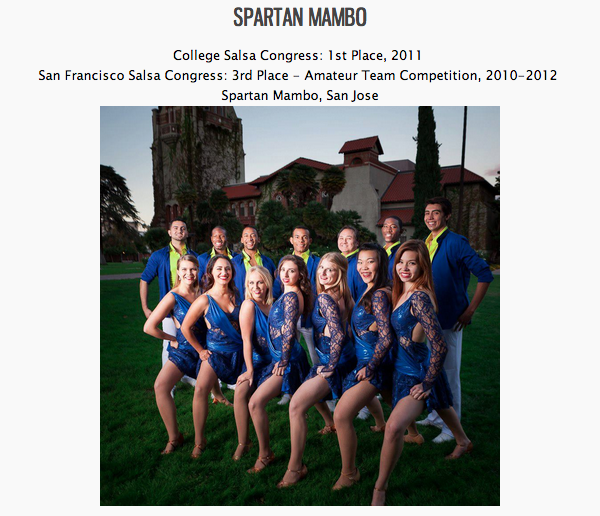 Spartan Mambo will be holding auditions for Spring 2013 on Saturday, February 9th from 10:30am-1pm. Please see the Audition Page for full details. Spartan Mambo Performing at Santa Rosa Festival! Spartan Mambo has been invited to perform at the 1st annual Santa Rosa Latin Jazz, Music, and Dance Festival! Come support the team on Sunday, February 17th in Santa Rosa! Spartan Mambo Auditions 2013 Coming Soon! Auditions for the next season of Spartan Mambo will be announced soon, as we prepare to return to the College Salsa Congress in May! Exact date and time for the audition is still TBA, but will be sometime in early February. Follow us on Facebook if you want to keep up to date with the latest info about Spartan Mambo.